Some people wonder why would anyone want to play a 5-string guitar when there’s a 4-string option. It’s an additional string to get used to and another hurdle to jump over, so why go through all the trouble? While it’s true that you don’t necessarily need a 5-string guitar to play bass, you might be missing out on some really good sounds. Having that 5th string gives the player access to a lower range. And you know what makes a bass sound even more satisfying to the ear? A rich and deep tone. So if you’re looking for a guitar that can reach a more baritone range, a 5-string guitar might just be the thing for you. We’ve got a whole list of the best 5-string bass guitars that we think you might like below. Check it out and hopefully, we’ve convinced you to get one of your own. 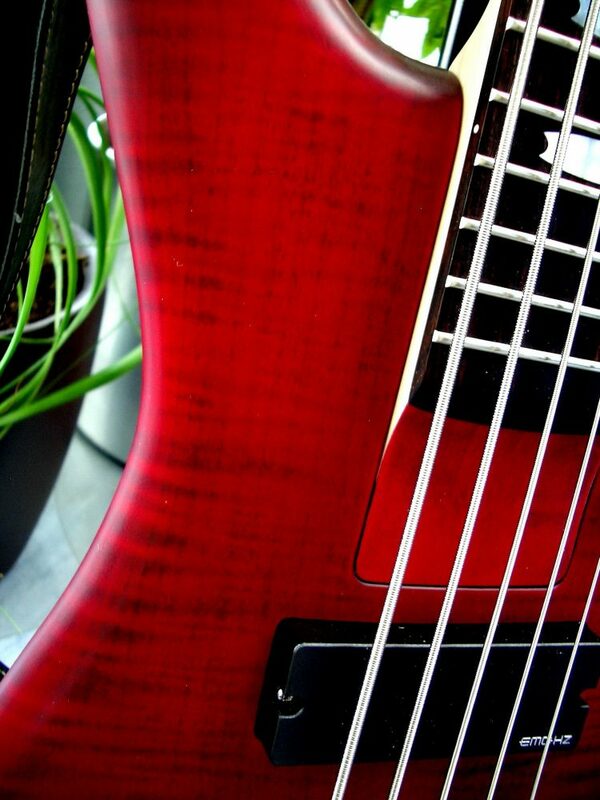 You don’t have to break the bank to purchase a good quality 5-string bass guitar. If you’re the practical type who wants to start with something basic but in good shape, you have the Ibanez 5. This affordable option sports a simple and elegant design. Thanks to the wonderful Ibanez trademark craftsmanship, the Ibanez 5 looks and feels expensive. It has everything you need to play a beautiful bass tune – a comfortable neck, and easy medium-sized frets. I personally think that the Ibanez 5 is a great beginner’s bass simply because it’s a well-built, practical guitar that does not hurt your wallet. Who can resist a Fender? The company is known for making some of the best guitars in the world, and the Affinity Jazz is definitely one of them. The very first thing I noticed about this guitar is its weight. It may look robust and heavy on the outside, but it is surprisingly one of the lightest bass guitars I know today. Its super lightweight properties make the Affinity Jazz the perfect companion for the traveling bassist, and a great practice guitar for beginners too. But it doesn’t end there. The fret is built with just the right size as well; no more stretching and pulling just to put your fingers down the right place. Playing bass with the Affinity Jazz is fun and easy, and I am now convinced that you don’t need a lot of dollars to get a really good guitar. The Yamaha brand is often regarded as the best choice for a beginner’s guitar. So if you’re at a novice level for learning how to play the bass, picking up the Yamaha TRBX305 CAR is a good place to start. This guitar is simple, sensible, and built to help you succeed with your learning. But if you ask me what I really love about this guitar, it’s the balance. As a beginner, it’s hard to find a guitar that fits you just right. The body might be too heavy, the frets may be too hard to reach, or the sound just isn’t what you hoped it would be like. But this guitar puts all the right pieces in all the right places, producing a guitar that is comfortable and easy to play with no matter what your experience level may be. If you fell in love with the Fender Affinity Jazz from earlier, you’ll also love the Modified Jazz version from the same company. Both guitars are very similar to each other in terms of body shape, set-up, and material. The key difference is probably the design and the finish of the guitar. If you think that the Affinity was a bit too plain and boring for you, then you should be looking at the Modified Jazz versions. The brown sunburst detail makes the guitar a little bit more interesting to look at. If you are keen on purchasing a Fender with a little touch of artistry on the design, this is the option for you. The ESP LTD is no stranger to bass. This guitar can groove along to any music style – from jazz to country, Latin, or metal, this guitar can do it all as long as it includes a bass. Apart from being a very versatile 5-string bass guitar, one of the most attractive components of the B-205 is its neck. This 3/4 sized guitar comes in 34″ scale with 24 extra jumbo frets – a great combo for easy playability. But that’s not all, it also has the Extra Thin-U neck contour which makes this guitar enjoyable to hold and play. I would recommend this guitar for players with smaller hands, or for beginners who are struggling with that extra fifth string on other guitars. Schecter’s Stiletto Studio-5 is a game changer in terms of weight. If you think a 14-pound guitar is light, you have to pick this guitar up and feel it for yourself. At just about 11 lbs, this guitar weighs next to nothing. If you’re someone who’s tired of doing all the heavy lifting, do yourself a favor and get yourself a Schecter Stiletto Studio-5. But make no mistake – it’s light, alright. But it’s also packed with a lot of amazing features. First, it has a beautiful solid mahogany body with a rare bubinga center. It comes with the EMG HZ pickups and a Diamond Custom bridge as well. Plus, that honey satin look is a head-turner. Here’s another Yamaha that beginners and advanced learners will love. The Yamaha TRBX605 sports a slick and modern design. It is simple, elegant, and it does not look like a beginner’s guitar at all. So if you want to look and feel like a pro even if your skills are still at a novice level, you need to get a TRBX605. Apart from the cosmetics and the build of this guitar, what I love most about it is its clean and open tone. You need to have a really well-constructed guitar to be able to produce that kind of consistency. It’s no surprise that a brand like Yamaha could pull it off so easily with this guitar. This guitar is great if you want to get something for practice but still want to get that pro quality pricier guitars have. Affordable guitars may have cheap prices, but that doesn’t mean that you need to settle with a cheap quality guitar. There are plenty of great-sounding guitars out there that don’t cost a lot and the Dean Edge 09 is one of them. If you’re all about practicality or if you are unsure about investing a lot of money on a 5-string guitar just yet, the Dead Edge 09 could be your best companion. It’s simple, straightforward, easy to use, and more importantly, it has everything you need to start playing a great bass tune. Looking for a no-frills Ibanez in a really cool design? I think you’ll love the SR305E guitar. Let’s talk about that Black Planet Matte design. It gives the guitar a cool and edgy look – perfect for the rich and deep tones of the guitar. But cosmetics aside, this 5-string bass guitar makes a great option because it has everything you basically need – and in great quality as well. You can never expect anything less than perfection with the Ibanez standards. Not only do they have to look and feel awesome for the player, but every guitar was made to produce the best bass sound. If you want to get your hands on a really good Ibanez bass, this is the best place to start. Are you a fan of the iconic and timeless Ernie Ball Music Man designs? Look no further – the StingRay5 will not disappoint. Not only does it have that unique and distinct quilted maple detailing, but you also get the high-quality sound this brand is known for. The StingRay5 sports an elegant teardrop pickguard with a classic control layout. It comes with a single, noise-free humbucker pickup, and a “4+1” tuning key arrangement – promising an easy tuning experience. Personally, I’m a bit biased with this guitar because it’s a 70s icon. If you’re a big fan of 70s music like me, you would know that the 70s music scene is defined by some of the world’s greatest bassists – John Paul Jones, Geddy Lee, Paul McCartney, anyone? So if the Sterling creates guitars that reminisce that moment in time, I might have a reason to believe that the StingRay5 can create this generation’s legends. Ready to start playing some serious bass? Investing your money on a bass guitar may be one of the toughest decision you will ever make as a musician. Good quality instruments don’t come cheap but you also don’t want to compromise your playing experience with an awful sounding guitar. Choosing the best 5 string bass guitar might sound overwhelming, especially for the clueless beginner. But not to worry, we’ve got some tips to help you out with your guitar shopping. One important thing to remember about buying a bass guitar is that you should be familiar with its parts. Take some time to study the different components of a bass guitar and how each of them could affect your sound. The type of wood used, for example, will impact a guitar’s tone and resonance. Taking a closer look at a guitar’s pickups is another tip. Having two sets of pickups will provide a significantly greater tonal range than a guitar with just one. Although beginners need not mind these small details, it may be a wise idea to consider them if you are going to go all out on your budget. Another important factor to remember is your comfort. That said, you might want to choose a guitar that fits you just right. Playing with a guitar that is too large will stress you out and eventually hinder you from learning and advancing your skills. There are a ton of awesome 5 string bass guitars out there, it’s difficult to choose just one! 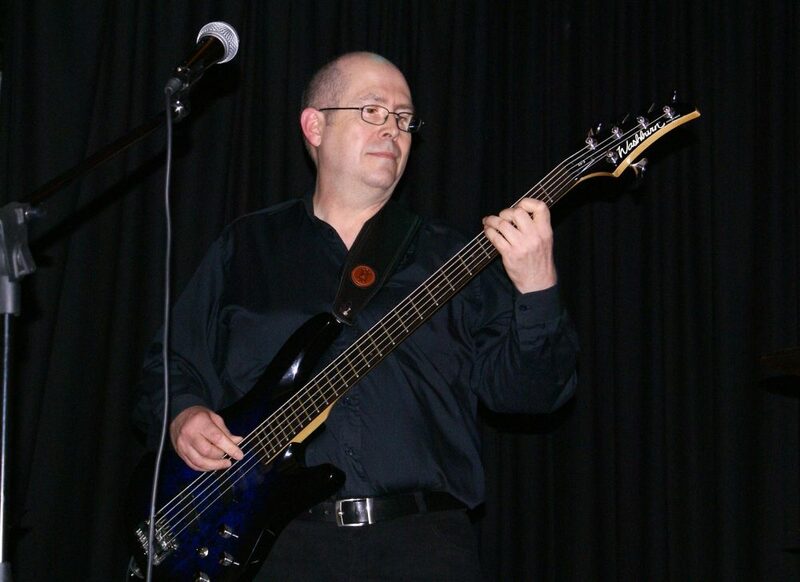 But we’re keen to only give you the best of the best so if we were to name our number one, the title goes to the Ibanez 5 String Bass Guitar. We’re not particularly biased with the Ibanez name brand, but you can’t deny that they are one of the best in producing guitars. And with such a well-known brand that has a long history in the music industry, you can only expect to get the best value out of your money. We’ve said it before but it’s probably worth remembering. The great thing about this guitar is its pickups. We talked about how a guitar’s pickups can significantly give the user a wider range of tones. And almost any guitar that gives a user more creative freedom to explore their signature sound wins our hearts.